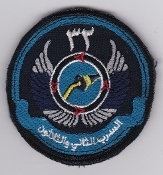 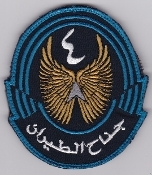 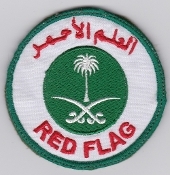 Saudi Arabia RSAF Patches Royal Saudi Air Force Patches Crest Tac Ops Detachments Commemorative Badges. 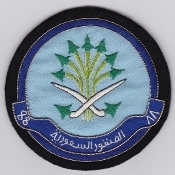 RSAF Patch Royal Saudi Air Force 4 Wing King Khalid Military City AB Hafr Al Batin 12 Sqn AB 212 VIP 2000s Velcro Emb on twill cut edge 98 by 85mm three and thirteen sixteenth by three and three eighth inches. 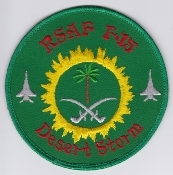 RSAF Patch Royal Saudi Air Force Dhahran Air Base 1981 F 15 Eagle F 5 Freedom Fighter Embroidered on twill cut edge 91mm by 95mm three and nine sixteenth inches by three and three quarter inches. 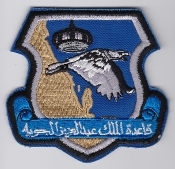 RSAF Patch Royal Saudi Air Force King Khalid Military City KKMC Air Base 1996 F 15S Strike Eagle Deployment Fully embroidered cut edge 128mm by 77mm five inches by three and one sixteenth inches. 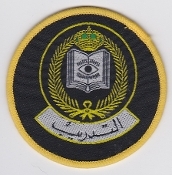 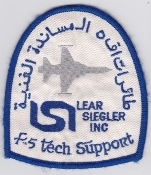 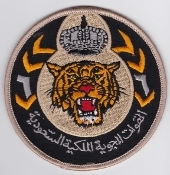 RSAF Patch Royal Saudi Air Force Tabuk Air Base 1990 F 5E F 5F RF 5E Tiger Reconnaissance Velcro Fully embroidered merrowed edge 102mm by 94mm four inches by three and three quarter inches. 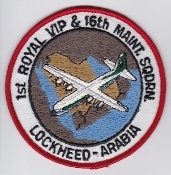 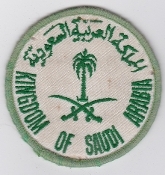 RSAF Patch Saudi Arabia Royal Saudi Air Force 1 Royal VIP And 16 Maintenance Squadron Lockheed Arabia C 130 Hercules 1970s Riyhad AB Emb on twill mer edge 98mm three and seven eighth inches diameter. 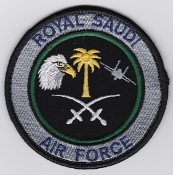 RSAF Patch Saudi Arabia Royal Saudi Air Force 13 Squadron F 15C F 15D Eagle 1981 Dhahran AB Velcro Emb on twill mer edge 125mm by 95mm four and fifteen sixteenth by three and three quarter inches. 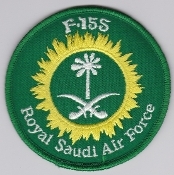 RSAF Patch Saudi Arabia Royal Saudi Air Force 13 Squadron F 15C F 15D Eagle 1981 Dhahran AB Emb on twill mer edge 125mm by 95mm four and fifteen sixteenth by three and three quarter inches. 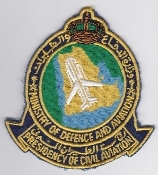 RSAF Patch Saudi Arabia Royal Saudi Air Force 16 Squadron Crest Tactical Airlift C 130E Hercules Transport 1965 Bullion wire emb on wool cut edge 115 by 85mm four and one half by three and five sixteenth inches. 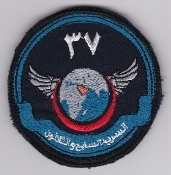 RSAF Patch Royal Saudi Air Force 32 Squadron KC 130H AAR Air Refuelling Tanker 6 Wing PSAB Al Kharj 2000s Velcro Embroidered on twill cut edge 80mm by 76mm three and one eighth inches by three inches. 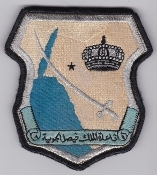 RSAF Patch Royal Saudi Air Force 37 Squadron Hawk 65 Flying Training 7 Wing King Faisal AB Tabuk 2000s Velcro Embroidered on twill cut edge 79mm by 76mm three and one sixteenth inches by three inches. 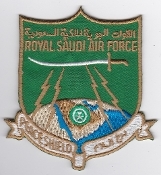 RSAF Patch Royal Saudi Air Force 37 Squadron Rodeo 2011 Hawk 65 Training 7 Wing King Faisal AB Tabuk 2011 Velcro Embroidered on twill cut edge 91mm by 76mm three and nine sixteenth inches by three inches. 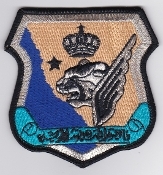 RSAF Patch Royal Saudi Air Force 7 Squadron F 86F Sabre Fighter Dhahran Air Field 1971 Embroidered on wool cut edge 144mm by 95mm five and eleven sixteenth inches by three and three quarter inches. 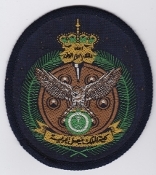 RSAF Patch Display Royal Saudi Air Force Saudi Hawks Aerobatic Team 88 Squadron Hawk Mk 65 7 Wing KFAB Tabuk Training 1999 Hand emb wire applique on wool cut edge 84mm three and five sixteenth inches diameter. 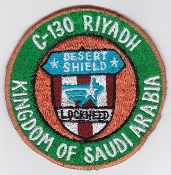 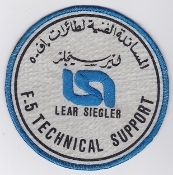 RSAF Patch Royal Saudi Air Force Lockheed C 130 Technical Support Maintenance Riyadh AB Lockheed Arabia Desert Shield 1990 Suadi made Fully embroidered cut edge 103mm four and one sixteenth inches diameter. 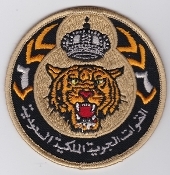 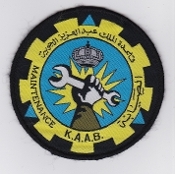 RSLF Patch Royal Saudi Land Force 2 Aviation Battalion AH 64 Apache 1990s King Khalid Military City KKMC Embroidered on twill merrowed edge 130mm by 102mm five and one eighth inches by four inches.